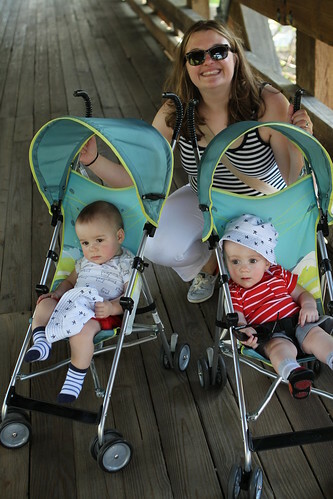 Tuesday began with a walk to the park, a walk back home to get their bottles, a walk back to the park, and a walk home. 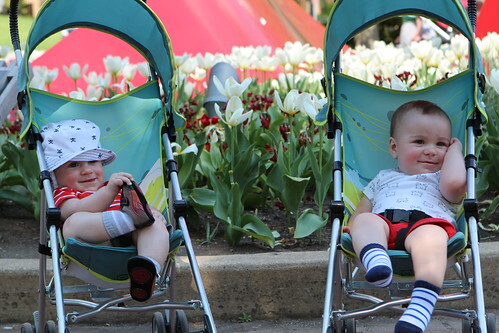 The guys had a very good time at the park playing with Pete and their aunts. 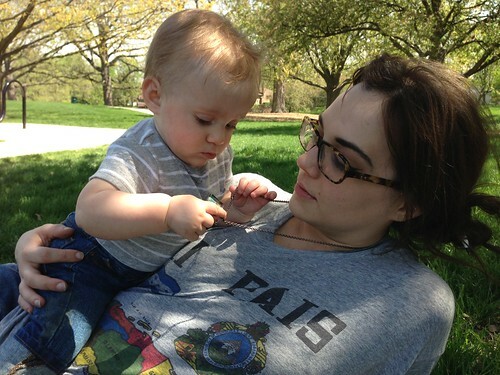 Martin, in particular, was impressed with his Aunt Lisa's cat necklace. It's his new favorite item, knocking the strings from my hoodie down into second place. Don't feel bad for them. They had a good run. They guys stayed up fairly late and had a good time yelling and banging bowls together. 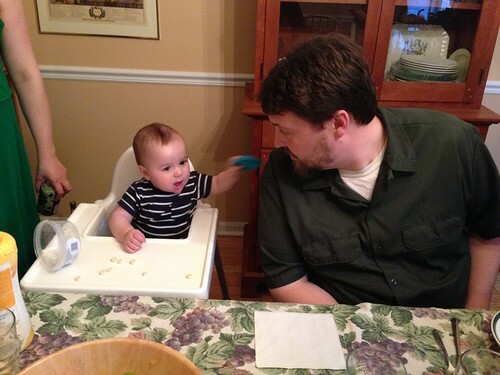 this is a critical component that is missing from so many meals in the world. 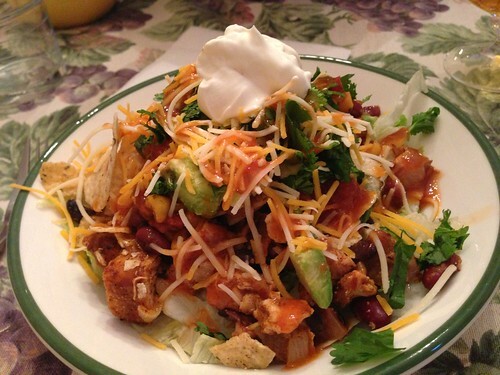 The babies did not get a chance to enjoy the taco salad that we all had. 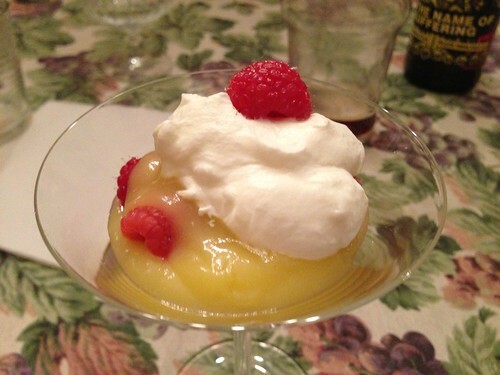 Nor did they have any of the lemon curd. 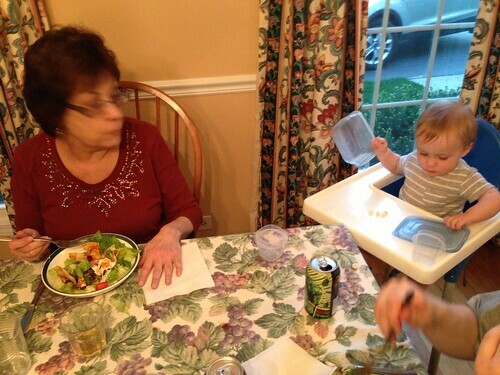 Luckily they were happy to simply eat mozzarella, avocado, and multigrain cereal for dinner the third night in a row. 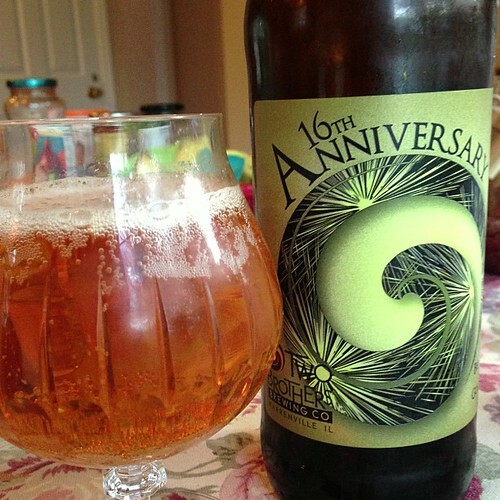 With dinner Doug brought over a bottle of the 16th Anniversary ale from Two Brothers Brewing Company. 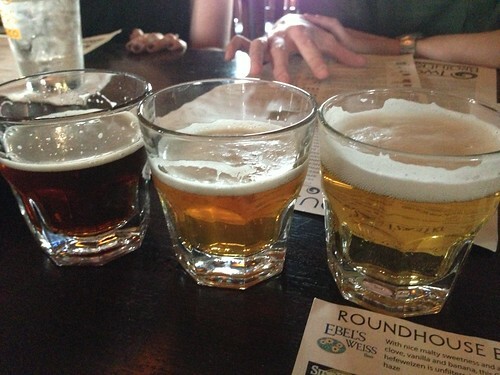 It was deceptively easy to drink at 16% ABV, so much so that we suspect they are liars. I would believe up to 10%. At any rate it was very tasty. 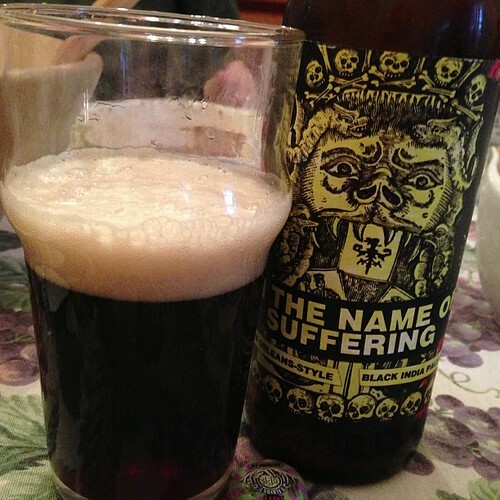 We followed it up with another find from Three Floyds, this heavy metal collaboration called In the Name of Suffering. We did not suffer through it at all. As with all Three Floyds beer I've had it was very well crafted and drank easily. Yesterday we took the guys on a tour of downtown Naperville and the riverwalk where Jen served as their tour guide and taught them about where she spent her formative years. 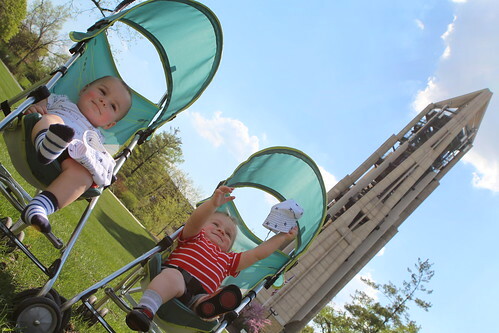 They also enjoyed a tour of the Millenium Carillon and learned about its bells of numerous weights and sizes. 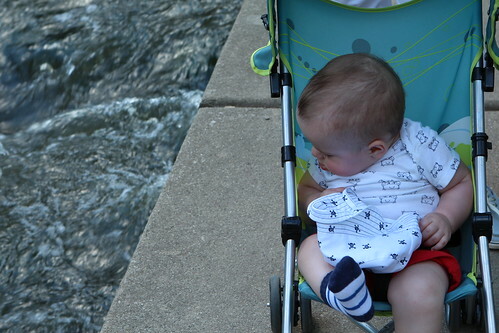 Elliott was quite grumpy as he has been teething so he spent a lot of time simply frowning at the sights. By the end of the walk they had been won over and their first day wearing shorts and seeing historic Naperville had been a success. What was not a success was our earlier attempts at nap time for Martin. 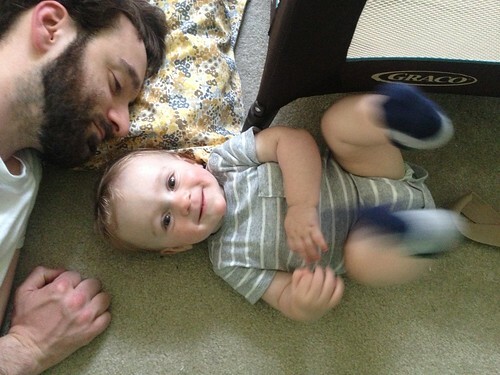 It ended with me on the floor and Martin showing no signs of giving in to the sleep that he desperately needed. 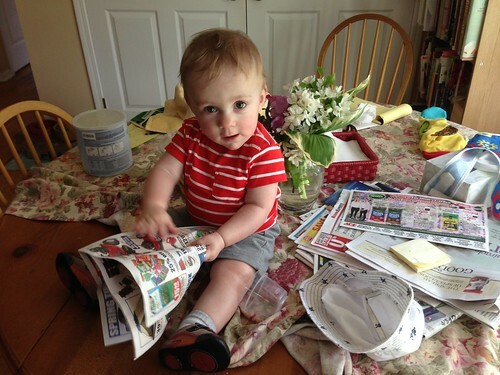 Instead Martin decided that he was read the morning paper. By read I, of course, mean tear off pieces and try to eat. After ditching the babies with their aunts and grandma Jen and I headed over to Aurora to meet up with friends at Two Brothers Roundhouse. 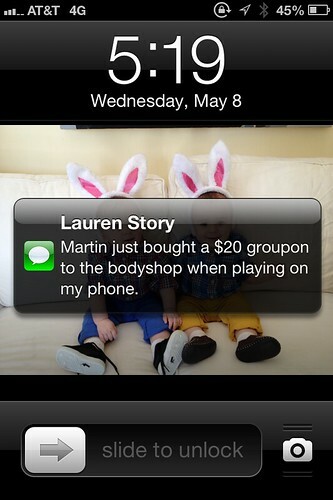 Shortly after leaving we got a text message that Martin had taken advantage of his Aunt Lauren's one-click purchasing power on Groupon. At least someone's using Groupon. 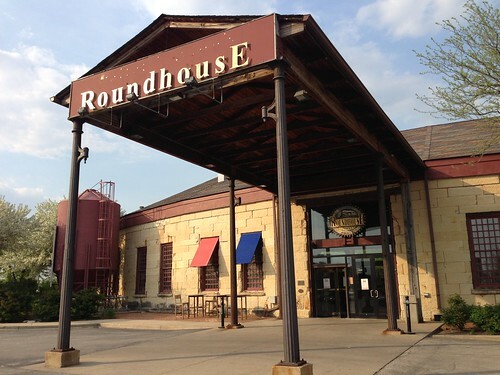 The Roundhouse was great and I sampled a wide variety of what they had on tap along with some fantastic small plates including a smoked brisket risotto. After a rousing game of "Guess Who?" with our friends, Amanda and Rick, we returned home to two sleeping babies. It's remarkable how much easier life is when someone puts your babies to sleep. I think I may want to consider hiring someone to come in every night and just spend 1-2 hours putting the babies to sleep. We didn't feel the normal feeling of defeat and exhaustion we feel at that hour of the night. 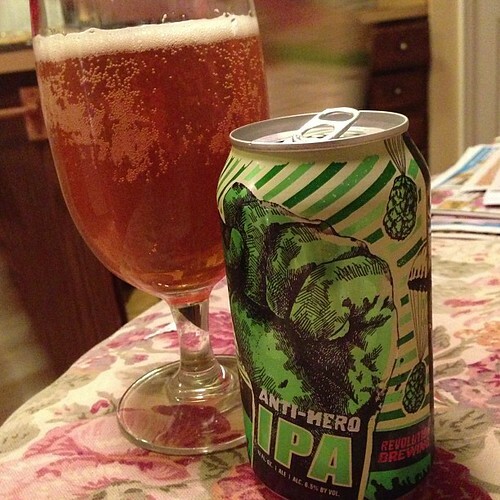 In fact there was even time for another beer, this Anti-Hero IPA from Revolution Brewing. Normally I turn to my evening beer as a way to dull the pain but last night's beer was a celebration. Oh, and it was their ten-month birthday, so I suppose it was a celebration of that as well.